90% energy cost savings; bulbs will pay for themselves and save on your bills so each one is an investment. 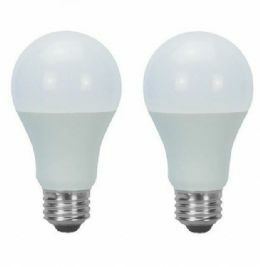 These LED's are NOT Dimmable and will not work with dimmer switches. Most LED's are not dimmable. This LED bulb provides a beautiful, cool white light, an exceptionally long life and immediate, significant energy savings. With a pure and elegant design, this light bulb is the perfect replacement for your frosted traditional bulbs. FREE delivery to Mainland UK, Postage charges for the Highlands, UK Islands, Express and Overseas delivery are detailed at the checkout!